Teach your Toddlers about God’s perfect promises! I grew up in the church, knowing all the stories from Cain and Abel to Jesus walking on the water. I remember the soft pastel colors of the flannelgraph (because I am old now) and coloring pictures of stars for both Abraham and Christmas stories. But it wasn’t until I had my own kids that I realized I wanted them to learn more than just the basic stories–I wanted them to know why, and to see how the entire complex book, spanning millennia, tells just one story. 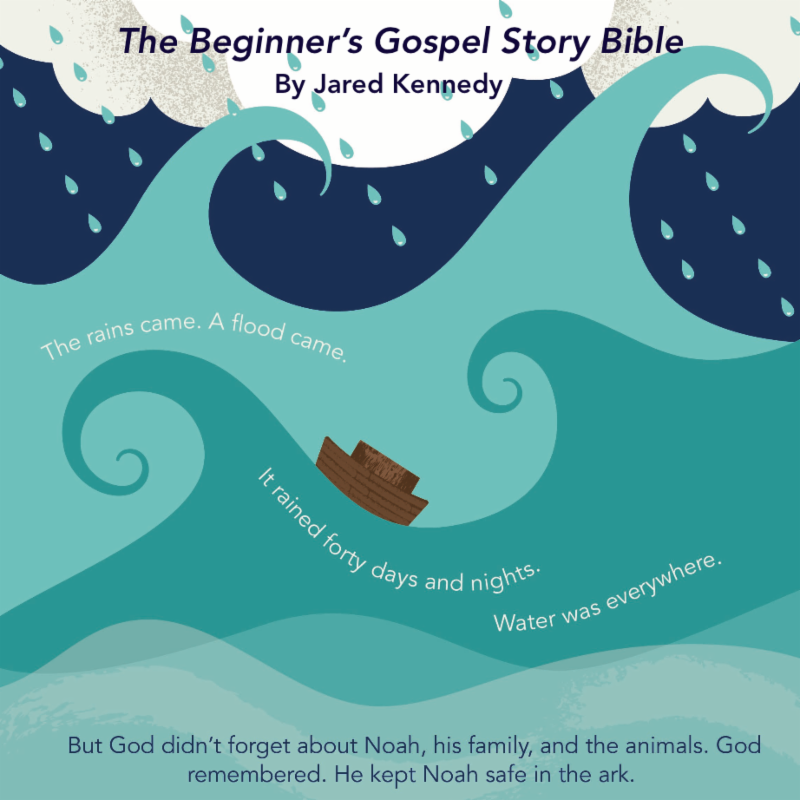 And Jared Kennedy’s new bible story book for toddlers, The Beginner’s Gospel Story Bible, does an excellent job of doing just that! Kennedy has taken 52 stories from throughout the Bible, which fits perfectly into a weekly devotional time (i.e. Sunday School or special Saturday mornings), although of course you can just read it normally. He’s arranged them by Old Testament or New, and fit them with wonderful illustrations. Running throughout is the theme of God’s promises. He shows how God works with sinful, broken, hurting people, and how his promises come true and will yet come true. It’s an excellent foundation for little ones in the complexities of God’s Word, yet told at a simple level. Additionally, the book includes concepts and games such as counting the sons of Jacob, or learning the words for full and empty with wineglasses from the wedding at Cana. As I mentioned, there are a number of excellent gospel-centered resources for young children-great story books and curriculum, but few of them focus on toddlers and first readers. When teaching this age group, I found myself reaching back to resources from the seventies and eighties-storybooks by Ella Lindvall and Ken Taylor. I saw a need, and I wanted to provide a more contemporary resource for ages two to five. One Bible truth I didn’t know is that the Ark of the Covenant went in the midst of the people (Jos. 6:9) when they marched around Jericho (not out in front as I originally wrote down in a first draft-thank God for good editors!). That fact illustrates a key truth for me. To accomplish what God has called me to as a parent and a Christian, I desperately need God to go with me-in my midst-every day. I pray this book will encourage that kind of desperate faith for you and your family too. 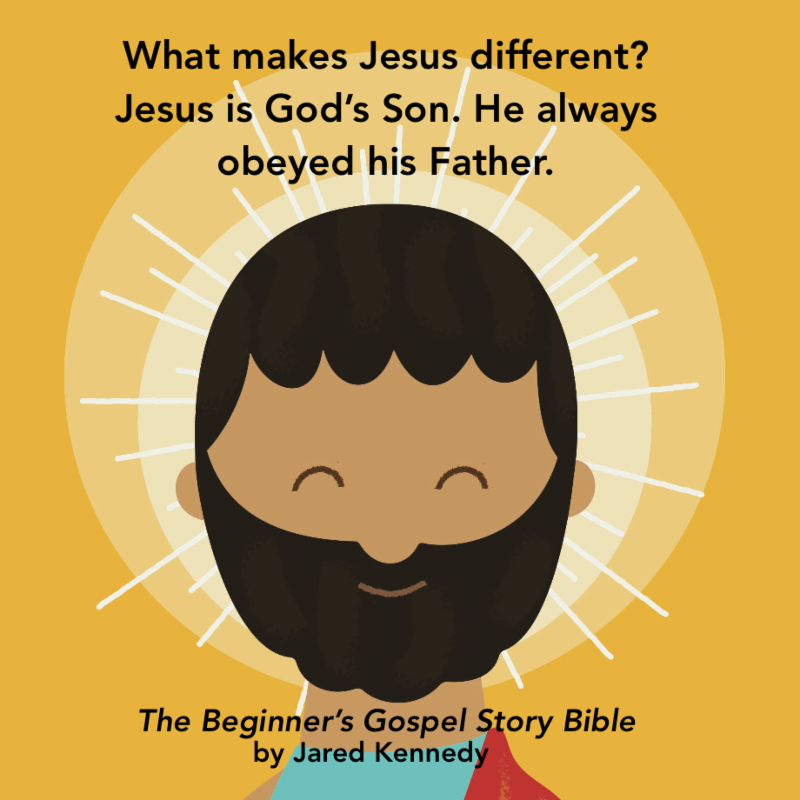 The Beginner’s Gospel Story Bible would make an excellent Christmas present, and I happen to know that amazon can deliver it quickly. (Why yes, I am still doing my shopping! I still have a week.) I highly recommend this resource for both families and churches.